Stone to death anyone who worships other gods. If something comes up and you don't know what to do, go to the place where the Lord chooses and ask a priest to tell you what to do. Then do whatever he says. Kill anyone who refuses to obey a priest or a judge. Accept as king whomever God chooses. The king shall not have too many horses. The king shall not take the people to Egypt. The king shall not have too many wives. The king shall not have too much silver and gold. The king shall write down, read, and follow the laws that the priests give to him. Alma and his brethren went among the Zoramites, and started to try to convert them. They preached in their houses, synagogues, and even in the street. After a lot of work, they started to have success, but mostly just with the poorer Zoramites. They were easy targets, because they weren't allowed in the Zoramite synagogues on account of the "courseness of their apparel". I've never heard of a church with such a strict dress code! Not only were they poor "as to the things in the world", they were also poor in heart. Luckily, Alma was there to help. While he was preaching to others on the hill Onidah, the poor people started gathering around the hill, too. The poor people asked Alma what they should do. They wanted to worship their God, but they weren't allowed into their synagogue. The same synagogue that they had built with their own hands! Alma was pretty happy to hear this, because it meant that they were ready to hear his preaching. Alma stopped preaching to the other people, and focused on the poor newcomers. He started off asking why they thought that they could only worship in the synagogue, and why only once a week? Then he goes on and on. The main thrust of his argument is that one has to humble oneself in order to truly know God. Luckily for his audience, they were already pretty humble. He throws a little reference to the late Korihor, by explaining the difference between faith and proof. Alma also gives us this puzzling line. I think the only person who knows what he is talking about is Tevye from Fiddler on the Roof. But then Alma gets to the heart of his sermon. You see, the Word is like a seed. If you make a little space for it in your heart, and give it a chance, and believe in it a little bit, then it will grow and you'll start to believe in it a little more. As you convince yourself more and more, you'll be more and more convinced. Wouldn't this convince you? Eventually the seed will swell within your breasts, and when you feel these swelling motions, you'll know that it's a good seed. In case you have any doubt that any of this is real, this next verse should clear things up for you. Here are the cliff notes. It's real because it's light. Whatever is light is good, because it is discernible. So since the light is good, it's good. After you taste the light is your knowledge perfect? Of course it is. Alma continues in this fashion for some time. The only other interesting part is verse 42, where a little bit of the Book of Mormon's racism comes out again. Alma is describing how good the fruit of the tree of faith is going to taste, and he describes it as: "sweet above all that is sweet, white above all that is white, and pure above all that is pure". Oh boy! Eat unleavened bread for six days during the Passover. Don't plant trees near God's altar. Don't set up an image that God hates. Scripture tells us, we shall not oppress a stranger, for we know the heart of a stranger. We were strangers once, too. So there the president of the United States in Cross Hall at the White House invoking scriptures, which I believe have to do with feeding the poor and hungry, and nothing about visas. But Mr. Doocy's belief here is incorrect. The president's reference was nearly a direct quote of Exodus 23:9, which says nothing at all about feeding the poor and hungry, but rather how "strangers" ("immigrants" in The Common English Bible) should be treated. The Bible commands believers not to oppress immigrants. And that seems relevant to the immigration and visa policy debate. But to quote scripture? That is totally out of bounds -- that is just out of bounds! Which is really interesting, since less than 48 hours earlier, Fox News complained that President Obama didn't quote the Bible enough. Now, when he quotes the Bible in his speech on immigration, it "is totally out of bounds." Of course, I (more or less) agree with Mr. Carlson here. It is out of bounds. 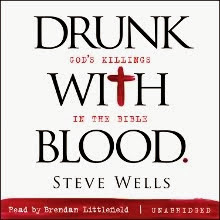 The Bible is worse than useless as a guide to government and public policy (or anything else). In this case, the president referred to one of the Bible's few good commandments. But what if he decided to impose Commandment 87 instead of 88? Not even Fox News would go along with that one! After Korihor was *Ahem* dealt with, Alma heard of another problem in the land. Apparently the Zoramites, in the land east of Zarahemla called Antionum, were perverting the ways of the Lord. This concerned Alma because they might gang up with the Lamanites, and that could be really bad for his people. He considered his options, and decided that preaching to them would be better than fighting them, because in his mind, "it [preaching] had a much more powerful effect upon the minds of the people than the sword, or anything else, that happened unto them". Alma gathered together the dream team: Ammon, Aaron, Omner, Amulek and Zeezrom, and two of his sons: Shiblon and Corianton. He left Aaron's brother Himni and his son Helamon to hold down the fort. Alma and his crew had a tough job ahead of them. Not only had the Zoramites stopped praying to God, they were actively involved in another cultlike religion. They had built "synagogues" that were almost like pyramids, where only one man could pray at once. He would climb to the top of the synagogue, stretch his hands toward the sky, and recite a prayer in a loud voice. Alma and his brethren were pretty shocked when they heard this prayer for the first time. And the second time. And the third time. And the 4th time. Yes, every single Zoramite made this exact same prayer once a week, and then they just went home and carried on with their lives until the next week, when they did the same thing again. While observing them, Alma also happened to notice that they were wicked, greedy, perverse people who bragged all the time. Alma finishes up the chapter with a long prayer to God, asking him to give them strength and success in converting the Zoramites. The prayer worked, and Alma and his brethren were filled with the Holy Spirit. Alma's fellowship then split up to go preaching to the Zoramites. They didn't stop to think about what they would eat, drink, or wear during their mission. As luck would have it, though, God cast a magic spell on them so they wouldn't have to eat or drink during their mission, and they would have extra strength. How cool is that? This law only applies to Jews. Loans made to Gentiles remain in effect during "the Lord's release." This post picks up where the last one leaves off. If you remember, Korihor, (the Anti-Christ!) 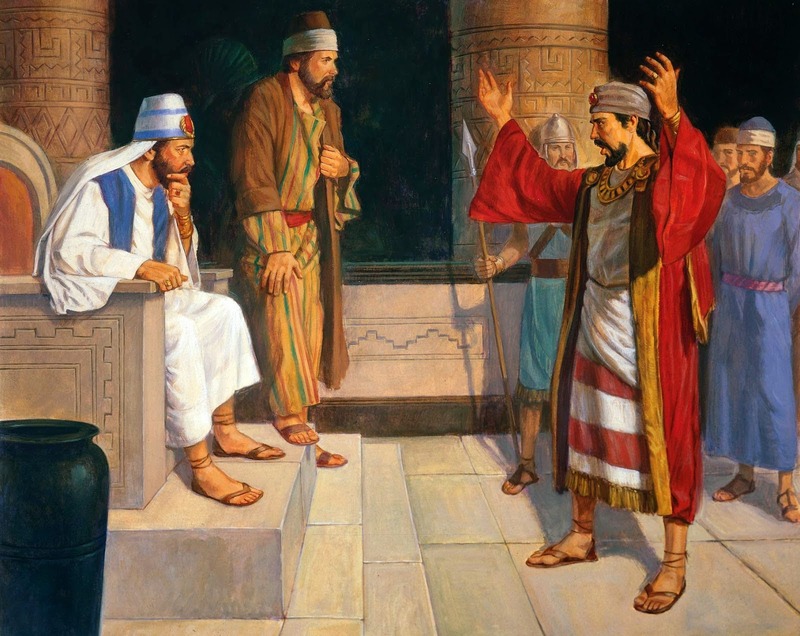 was arrested for criticizing the church, and brought before the high priest of the land of Gideon, who, after interrogating him, didn't really know what to do with him. He decided to send him to Alma, the chief judge over all the land. When Korihor arrived, he continued to "blaspheme" just like he did before. He was a little more specific with his criticisms of Alma, though. In addition to accusing the church of being wrong about their prophecies, the afterlife, etc., he also accused the church leadership of enriching themselves off of the members of the church. Alma was quick to defend himself against this charge. And I have to admit, the Book of Mormon makes this very clear: the church leaders were not paid for their work. It was an all-volunteer operation, except a small per-diem payment to judges (1 senine of gold, or a senum of silver per day in court). Alma then pivots to the more pressing issue of the existence of God. Korihor denies that God exists, and then Alma says, "Will you deny it again? I'm telling you, God exists, bro." Alma then uses the oldest trick in the book: shifting the burden of proof. He asks Korihor to provide evidence that God doesn't exist. After all, he had the testimonies of others. Alma also accused Korihor of being possessed by the devil, just for good measure. Korihor asked Alma for a sign, and that then he would believe in God. But Alma wasn't having it. Weren't the testimonies of his brethren and the holy prophets enough for Korihor? Even the motion of the earth and the animals on it prove that there is a God. What else do you need? Korihor sticks to his guns. He wants a sign, or he will continue to lead people away from the church. Alma warns Korihor that if he continues down this path, that he will "lose his soul". (Stop asking for a sign, man! Don't you know that God doesn't like that?) Alma warns Korihor that if he keeps denying God and asking for a sign, then he'll get a sign all right: God will strike him dumb, and he will never speak again. Korihor quickly clarifies his position, that he's not denying the existence of a god, but he doesn't believe that there is one, until he is shown a sign. This seems pretty reasonable, but it's enough for Alma to curse him in the name of God. So Korihor got his sign, after all! Then Alma taunts him a bit. "What do you think about God, now? Huh? Do you have any doubts anymore? Can you speak up a bit, I can't hear you... What's the matter, cat-got-your-tongue?" Korihor grabs a notebook or something* and writes a quick note to Alma, explaining how he now believes in God, and how the devil made him deny God's existence, and everything else that Alma wanted to hear. He pleaded with him to make the curse go away, but Alma told him that he wasn't going to, because then he would continue to lead people away from the church. Korihor became a beggar from that point on. Then something really interesting happened. The story of Korihor spread like wildfire, but that wasn't enough for Alma. Alma make a proclamation throughout the land, threatening all of the other unbelievers that God would strike them dumb too, if the didn't "speedily repent". So much for freedom of religion! So everybody repented. And Korihor continued begging. Obviously. Eventually he tried to beg from the Zoramites, and he was killed. I guess they had very strict laws against panhandling over there. *I wonder what Korihor was writing on. You'd think that if they had paper, then all of their records wouldn't be chiseled onto golden plates... And how many people back then were literate? Don't make any baldness between your eyes for dead people. Don't eat any abominable thing. Eat these animals: oxen, sheep, goats, harts, roebucks, fallow deer, pygargs, and chamois. Don't eat animals that die by themselves. Feed them to strangers or sell them to aliens. Remember back in Chapter 28, when the Lamanites attacked the people of Ammon in the land of Jershon, and the armies of the Nephites rushed to their defense? Well, after the countless dead were buried from that battle, things were peaceful again for a few years. Which is another way of saying that something interesting in coming up. Because, as we all know, peace and prosperity is pretty boring and the Book of Mormon usually skips right over it. So, in the 17th year of the Judges, the Anti-Christ came into Zarahemla! He started preaching to the people, telling them that their priests were liars, and that all of their prophecies about Christ were wrong. And the church couldn't do anything about it! You see, even back then they had freedom of religion laws. Which, as it turns out, are kind of a pain when you are trying to silence any opposition to the established religion in the land. So the Anti-Christ (his name was Korihor) was free to go around and question the beliefs of the church, which he did pretty effectively. He basically said that they couldn't be sure of things they can't see, and that they were just believing in the "foolish traditions of their fathers" because they had "frenzied minds". Korihor is one of my favorite characters in the Book of Mormon. But I will admit that he took his moral philosophy a little far. In verse 17, he claims that "Every man prospered according to his genius, and that every man conquered according to his strength, and whatsoever a man did was no crime". I'm not sure exactly what he means by that last part, but it seems like he's a bit of an anarchist (which probably sounds like a pretty good option after living in Zarahemla for a while). But whatever his political beliefs were, his preaching was pretty darn successful, leading many of the people away from the church. He caused many of the women and the men to commit whoredoms, because he convinced them that there was no life (or punishment) after death. When Korihor tried to go to Jershon and preach, though, he didn't have as much success. They were wiser (according to the BOM anyway) than the people in Zarahemla that Korihor was preaching to earlier. You see, the Jershonites arrested him and brought him before their high priest. What happened to all of that talk about freedom of religion? The high priest asked Korihor why he was questioning the teachings of the church, and he answers in a beautiful little speech about skepticism, evidence, and morals. One particularly nice part is verse 25, where he says that "A child is not guilty because of its parents." The rest of his speech pretty much just says: "You say that these ancient prophecies are true. But you don't know any better than the rest of us if they are true or not. You are just using your authority to manipulate and maintain control over people." The high priest didn't have much of a response. He didn't say a word - he just tied Korihor up, and sent him off to Zarahemla for Alma to deal with. Alma was the chief judge and governor over all the land, so he would have to decide what to do with this troublemaker. And that's where we'll leave it for today. How will Alma deal with Korihor? You'll just have to wait till next time to find out. I'm going to have trouble saying much about this chapter. Basically, Alma is wishing that he was an angel so he could be even more effective at converting people and doing God's will. That's pretty much the gist of it. Call me a minimalist, but if I were etching this story into plates, I probably would have skipped this internal monologue. But I peeked ahead, and there is some great stuff coming up in the next chapter. So stay tuned. After Ammon and his people were all situated in their new land of Jershon, there was a battle between the Lamanites and the people of Nephi. A big battle. In fact, it was the biggest battle anyone had ever seen since the very beginning of the Book of Mormon when Lehi and his children left Jerusalem. 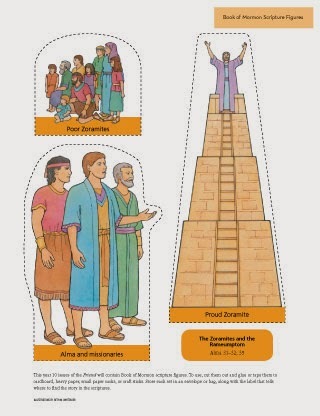 Tens of thousands of Lamanites died. Other than the body count, though, we don't get too many of the details of the battle. Many Nephites died as well, and it was a very sad time for the people of Nephi. They do tell us a date here, though. The battle finished right around the end of the 15th year of the judges. That's pretty much all of the action in this chapter. The rest is just them talking about how bad the battle, and how the bodies of the slain were "mouldering in heaps upon the face of the earth". Sounds pretty nasty. But although some of the people were mourning for their loss, others were rejoicing, because of how awesome God was and whatnot. Chapter 27 gets a bit confusing, so let's recap a bit. Remember back in Alma 24 when the Lamanites attacked the Anti-Nephi-Lehis? The Anti-Nephi-Lehis wouldn't fight back, and this really disturbed the Lamanites. The nonviolent resistance worked, and it even converted a big portion of the Lamanite army. But the more evil Lamanites still wanted to fight, so they went up to Zarahemla to slay the Ammonihites, which they did pretty entirely. But then in Chapter 25 they overextended themselves, by continuing to fight the Nephites. Chapter 25 ends with most of the Lamanites deciding that they should probably just bury their weapons and join the Nephites, since they knew they couldn't beat them in battle. This leads to Ammon's long praise/boast about how much God loves them, because of the great Lamanite conversion. So it is starting to look like we might run out of people to fight! But, don't worry. Joseph Smith borrowed an old trick from the Bible to help him out. "When no one is left, who do you fight? Amal-E-Kite! Amal-e-kite!" But the Anti-Nephi-Lehis still didn't want to fight anyone. They had made their decision: they wouldn't fight, even if it meant every single one of them would be killed by the Amalekites. Ammon wasn't too happy about this. He didn't want to lose all of his new converts! He had a meeting with his brothers, and they decided upon a course of action, and brought it to the king. The plan was to go to Zarahemla and to live under the protection of the Nephites. But the king wasn't too thrilled with this plan. He thought that the Nephites would kill them, because of their checkered past. Ammon didn't think so. He asked the king if he would go if God told them to go to Zarahemla. The king said "Yeah, I suppose so. But if we go, then we'll be their slaves until we fix our relationship, and convince them that we're not such terrible people"
Ammon wouldn't go for it, though. It was against their laws to have slaves. They would have to rely on the mercy of the Nephites. The king said, "Okay. Ask God and see if he wants us to ask the Nephites for shelter. If they say yes, we will go down there. Otherwise we'll just die here." Ammon asked God, and God told him to get going, because the Amalekites were angry this time. Then Ammon told the king, and they started gathering their flocks and herds for the trip to Zarahemla. When they got to the border of Zarahemla, Ammon told them to wait. It was going to be a tough sell to Alma anyways, and it didn't help his chances if he came barging in with a bunch of Lamanites behind him. On his way into town, Ammon happened to meet up with Alma. It was a very joyous meeting. Ammon was so overwhelmed with joy that he fell to the Earth. Everyone else (Alma, Omner and Himni) were happy enough, but their joy didn't prevent them from standing. They all followed Alma back to his house in Zarahemla. At Alma's house they told the chief judge their story, and he sent a proclamation to all the people. The proclamation asked the people what they thought should be done, and he got back a remarkably unanamous answer. The "voice of the people" was to give up the land of Jershon, which was on the eastern seaboard, south of the land Bountiful. Sounds like a nice spot! The voice of the people also said to guard Ammon's people with their armies, but in exchange Ammon's people would be taxed to support the military presence there. What a solution! Don't you just love democracy? When Ammon heard this, he went back into the wilderness to talk it over with his people. They were really happy about the arrangement. A little concerned about taxation without representation, perhaps, but it was better than the alternative.